Discussion in 'Entrepreneurship' started by dealmaker, Dec 21, 2018. Do you know what your business credit score is? No, not your personal score – yourbusinessscore. Unfortunately, many small business owners are not aware of the importance of building their business credit score. Even if you do not anticipate the need to borrow money for your small business, it is still important to start building your business credit score now. 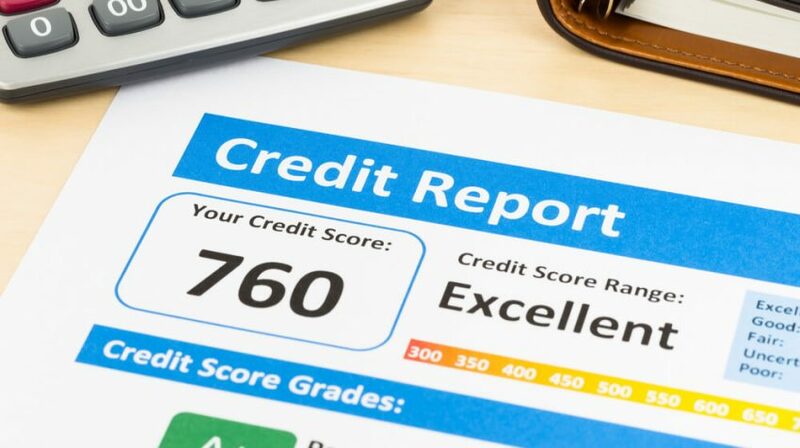 Unlike personal credit scores which are calculated in a uniform manner, each business credit score has a different range and uses different criteria. To qualify for a business loan, most lenders require a minimum 550+ personal credit score. Small businesses arepre-screened for SBA Loansusing the FICO® SBSS? Score. The minimum required by SBA is 140, but many banks set a higher minimum of 160. This is significant because a perfect personal consumer credit score generates a FICO® SBSS? Score of only 140. So without a business credit score, a small business has almost no chance of obtaining an SBA loan. A minimum personal credit score of 600-650+ is needed to qualify for an SBA loan. Filing a DBA or obtaining a business license does not start your business credit file. Forming an LLC or corporation, opening a business bank account in your legal business name or having a listed telephone number in that name will create a business credit file. It is critical to always use exactly the same form of business name and the same exact address and phone number on everything you do for your business. Create a place to keep that information and refer to it every time. This is critical for your business score and also for SEO rankings and branding and marketing your business. Your goal is to use a low percentage of your available credit, ideally only 2-3%. By improving your business credit score, you improve your chances of being among those successful in finding financing to grow. As a practical matter, lbusiness lenders will use the personal credit score and credit profile of the business owner, the owners personal guarentee for the business loan, and if the loan makes financial sense for both parties. Lenders will typically ask for two years business tax returns with updated financial statements. In addition, underwriting will typically ask specific questions of the owner to get a sense of their business acumen before making a lending decision. The Small Business Administration (SBA) provides partial business loan guarentees to lenders, encouraging banks to lend. The SBA has specific requirements that business owners must comply with before they can be approved. These requirements include educational programs and a well written business plan. Minorities, women, veterans, and certain business products and services can be given special consideration by the SBA. One can establish business credit by opening business credit cards, business lines of credit, and business installment loans such as equipment loans. A business with 5 credit accounts that includes a business installment loan, has no derogatories, an average age of accounts(AAoA) of at least 24 months, and credit line utilization of below 19% would have a fairly strong business credit profile. Chase and American Express have a popular and strong business credit card products. Wells Fargo has great rates on Business lines of credit(BLOC) and equipment loans. In addition, Wells Fargo offers a secured business credit card and secured credit line for “thin” files or for the credit challenged. For commercial estate mortgages and other business loans, it pays to be well organized and prepared before shopping around for the best rates and terms. Much of the above criteria for a strong personal credit profile applies with additional weight given to number of credit report inquiries (Hard Pulls) in the last 6, 12, and within 24 months. Note: A inquiry no longer dings your credit score after 12 months, but some lenders will still consider the number of inquiries within the last 24 months. Age of youngest account(AoYA) is strongly considered by most lenders. Ideally, unless a thick, well-established file has been developed, one’s AoYA should be at least 6 months before applying for new credit. 12 months is better and 24 months or more is best for easiest qualifying, highest initial credit lines, and more favorable terms.